My mom read this book a few years ago and loved it so it’s been on my list of books to read. I grabbed it at a half price sale at Open Books in June while searching for summer reading. 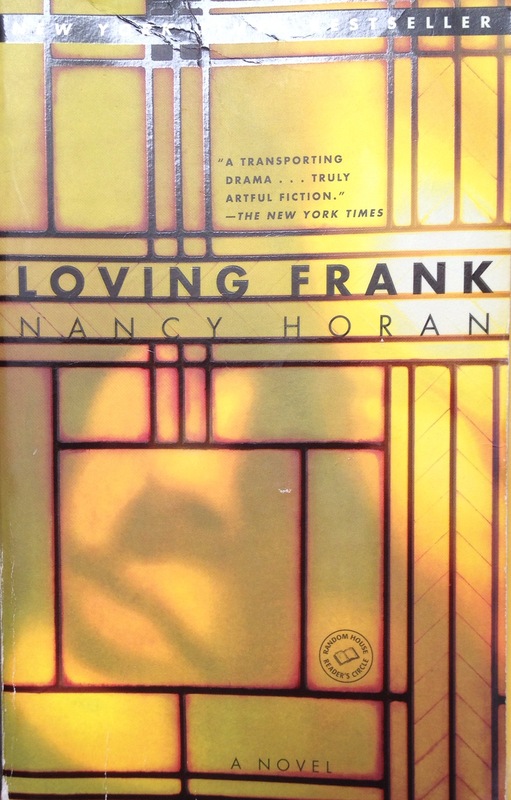 It’s a fictional love story rooted in certain facts about an affair Frank Lloyd Wright had late in his career. The story is about the woman, Mamah Borthwick Cheney, mostly. Wright led an interesting life for sure. I thought, before I read this book, that I knew a little of the history because I’d been on guided tours of his home and studio and Robie House. I didn’t know jack. His life certainly didn’t need any fiction to spice it up. The author, Nancy Horan, stuck to the facts. The fictional part comes mostly in the form of inhabiting the mind of Mamah and building out her character and also adding to Wright’s character through Mamah’s eyes. I think it worked well. I’m not a heavy user of the love story. I have been known to get engrossed in a Jane Austen movie, but I rarely read love stories. I’ll have to look down through the list to see if I’m being truthful. The love story aspect of this book was definitely engrossing as was the character study of Mamah. The time and place, 1907-1913 America, was a stifling place for women and Mamah’s drive towards self-actualization against societal norms was great reading. What courage for a young man. Mamah had thought when she heard the story. What confidence in his own artistic instincts. How often had she heard him say *I’d rather be honestly arrogant than hypocritically humble? * It took a superior attitude not to succumb to the rewards of joining the establishment. I don’t know how accurate these insights by Mamah are, but I’m aiming to find out. I’m visiting Taliesin with my mother soon and doing a kind of Frank Lloyd Wright weekend. I have to, because I need to come to terms with the end of this book. The ending blew me away and messed me up for a few days. Read this book.